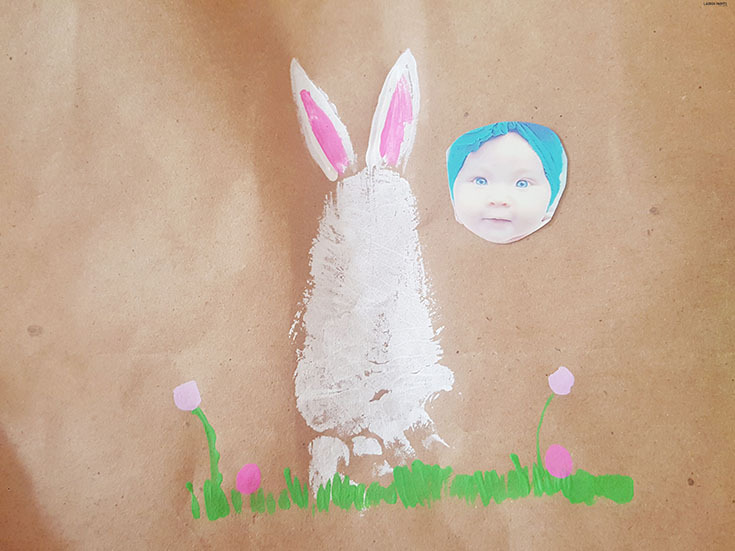 DIY Baby Bunny Easter Photo Project - The Cutest Keepsake & Easy to Make! 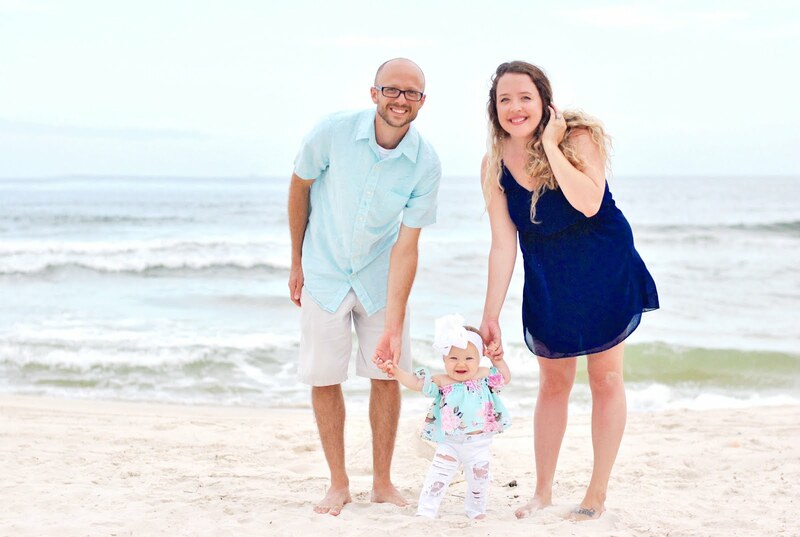 Making memories and starting traditions is what I'm attempting to do with Delainey as each holiday approaches, with high hopes and a pinterest board full of inspiration I always think I'm going to do all of these amazingly fun crafts... then life happens! And well, we end up making little last minute crafts like this. 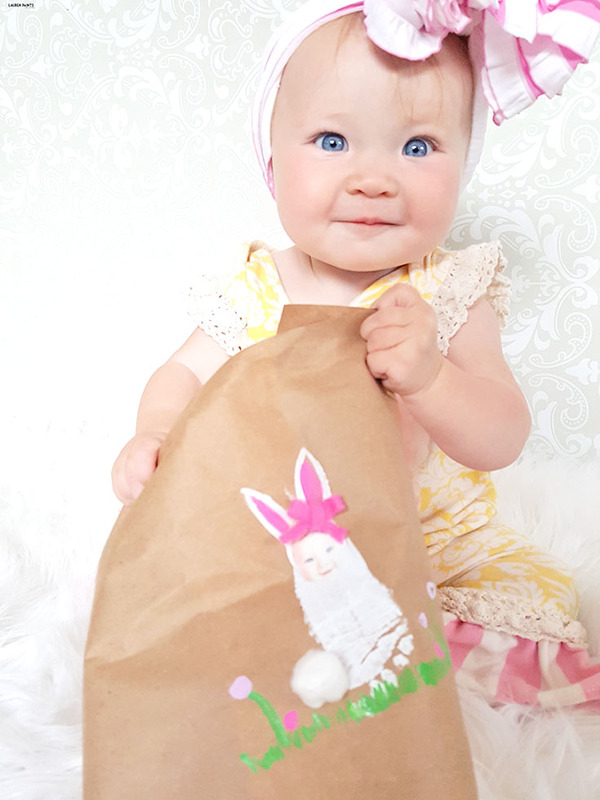 Don't get me wrong, I love getting creative and doing something simple, yet adorable, with Miss D... that's why I'm sharing how we made these cute little bunny photo crafts last minute and how you can make one yourself! 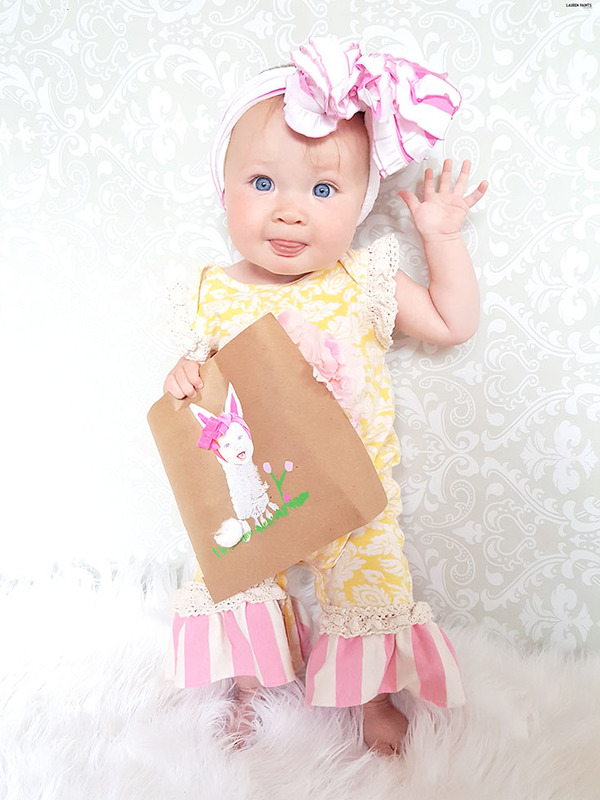 Grab these items from around your house and get to work on something adorable! This project is super simple, yet an adorable keepsake that can be hung on your fridge all spring long. 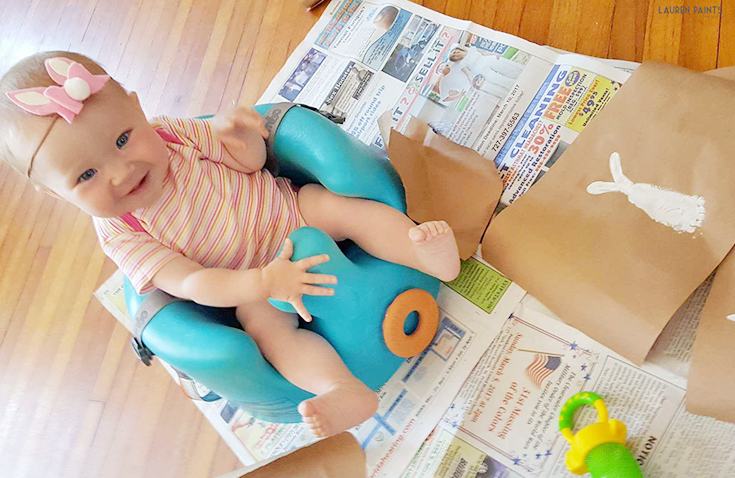 To start, you'll need a clean kiddo foot and a few pieces of colored paper. Simply paint little one's foot with white (non-toxic) paint and stamp it onto a piece of paper. 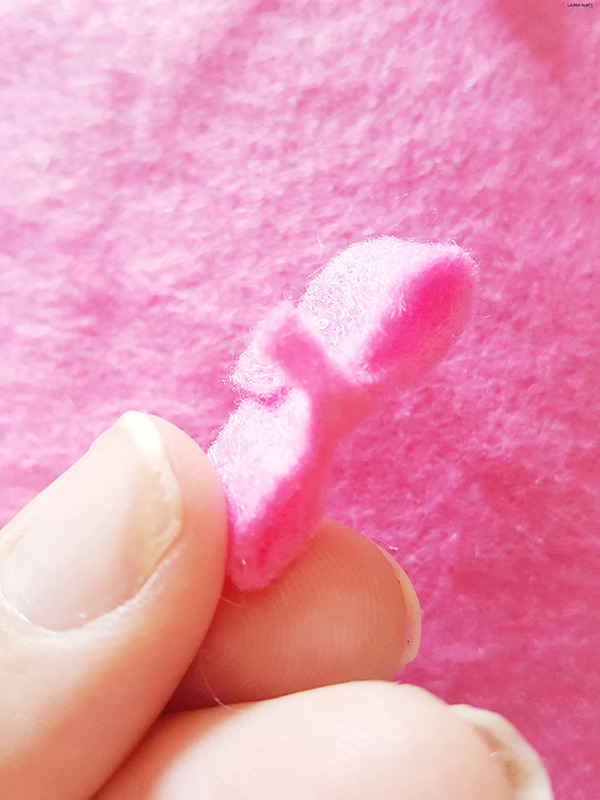 I did this a few times so we could make a few bunnies! 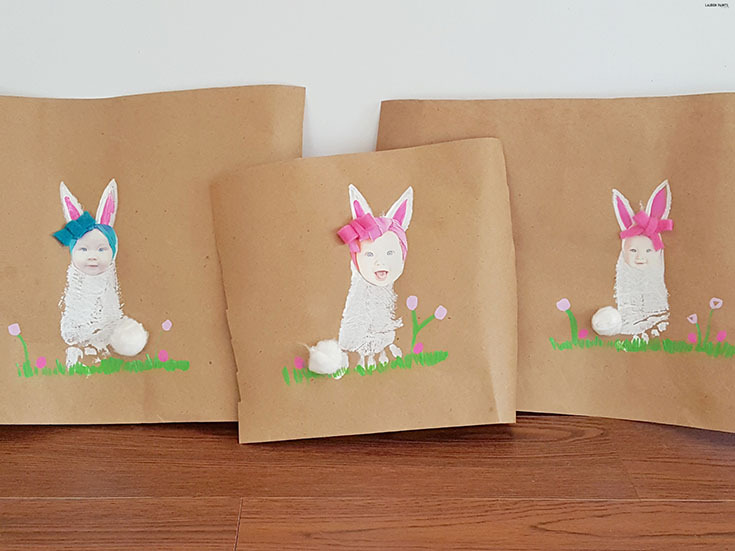 Next you'll want to let these little white bunny bodies dry while you play with your kiddo for a bit! Then once they go down for a nap, add details like ears on the bunny, eggs, flowers, grass, etc to the bunny. While that is drying, pick out a few photos and print them off. Choose only photos where your little one is looking directly at the camera. 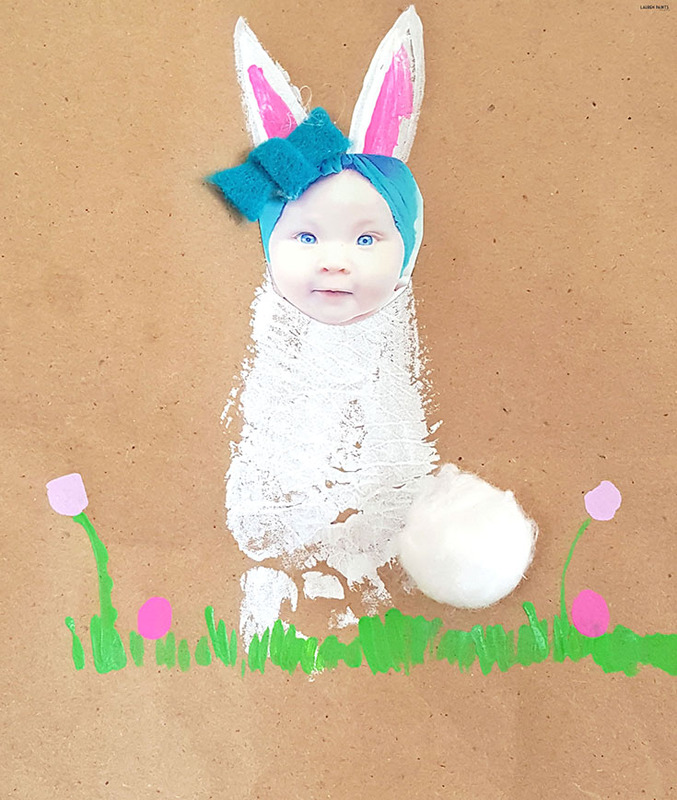 Once the photos are printed, cut your sweetie's face out of the photo and attach to the bunny body with glue. 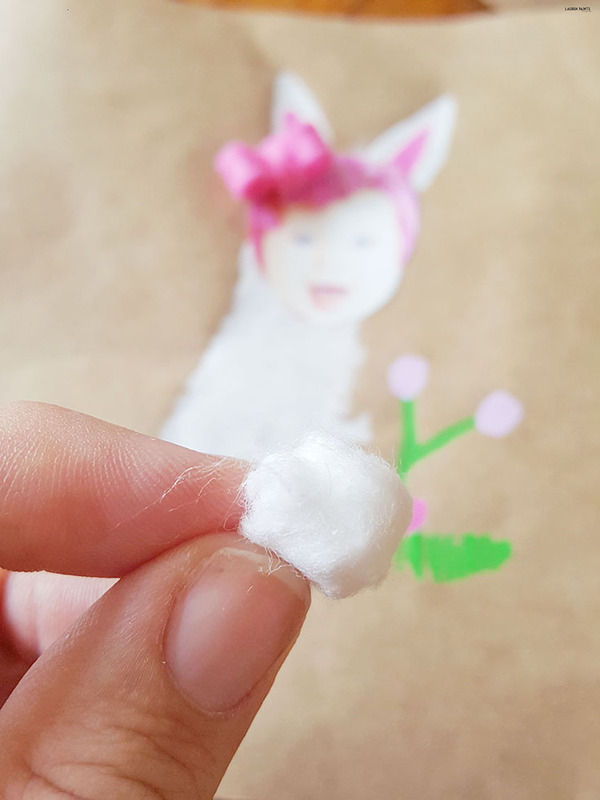 You'll then want to add a little torn off piece of a cotton ball to make the tail, using glue to secure it. I added little felt bows that were simple enough to make. Just one or two pieces glued together, folded. 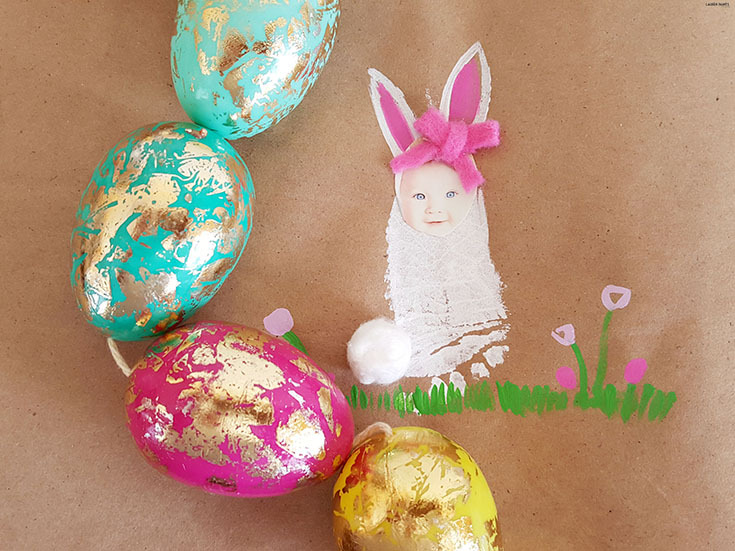 That's it, now your little bunny and you have a cute, super simple to make keepsake! 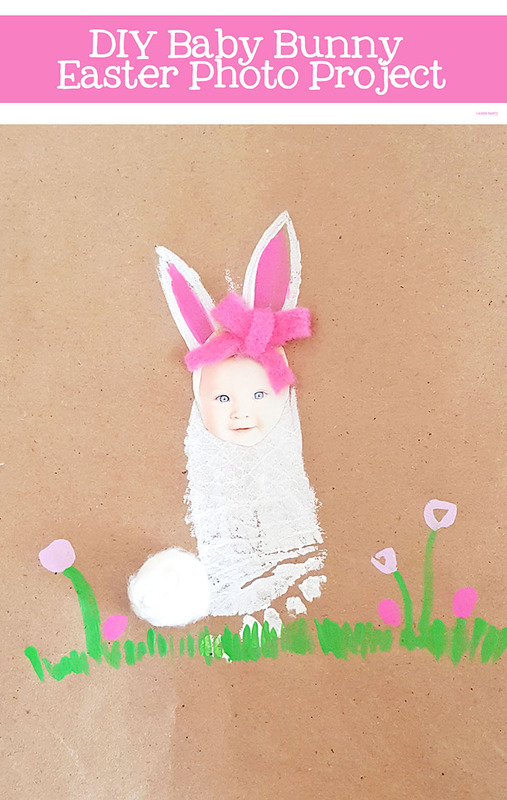 I love that we have this craft that showcases how teeny tiny her foot is on her First Easter... and I imagine we will try to do a craft similar to this each year. Maybe next year we'll make butterflies or chicks? I can't wait to continue to attempt to be a super crafty mama. 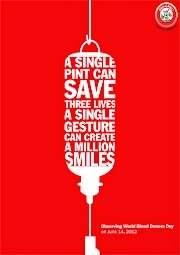 Until then, I hope y'all enjoy doing simple projects like this with me! So tell me, what do your Easter plans include? I can't wait to hear all about how you'll be celebrating this blessed day in the comments below.